Today Los Angeles loss a great artist, Grammy-nominated rapper Nipsey Hussle was killed in a shooting outside his clothing store in South L.A. on Sunday afternoon. According to multiple police reports, two men were seriously injured, and in remain in serious condition, the gunman is considered armed and dangerous and still on the run. Authorities claim the rapper was shot multiple time at Marathon Clothing on Slauson Avenue in South Los Angeles at about 3:20 p.m. He was pronounced dead at the hospital. The police have not released any more information, but a tweet sent by Hussle, whose birth name is Ermias Ashgedom, said “Having strong enemies is a blessing,” surfaced just a couple of hours before the attack. The scene was filled with emotional people, many of them filled with tears, gathered in a crowd at the intersection as cops and media helicopters circled overhead. Hussle’s new studio album, “Victory Lap” skyrocketed to fame and was nominated for Best Rap Album of the year at this past Grammy Awards. 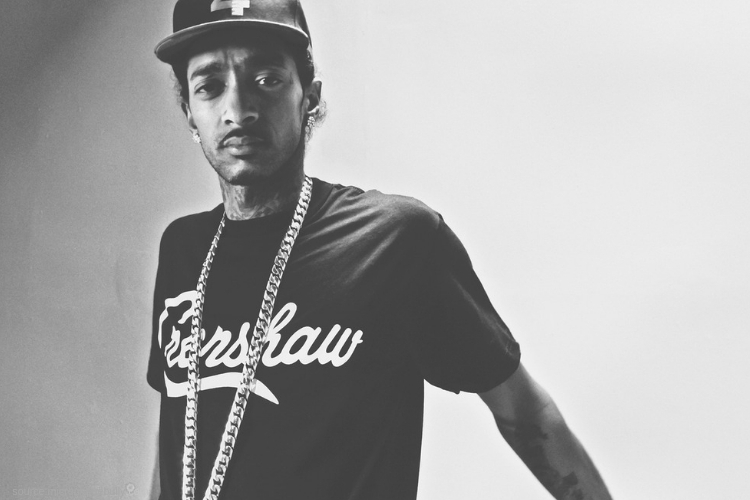 Investigators and sources confirm that Nipsey had been apart of the Rollin 60s Neighborhood Crips, one of Los Angeles’ largest street gangs. Hussle publicly announced his involvement with the group in a 2010 interview. “I think that with me being influential as an artist and young and coming from the inner city, it makes sense for me to be one of the people that’s waving that flag,” he stated. Authorities have not released any more information regarding the case, however, confirm that the investigation is still on-going.